True to its mission, CASE Printing Solutions helps its packaging and case coding customers GO GREEN and save money at the same time. (1) CASE Printing Solutions offers bulk-size ink supplies for the most popular industrial inks available on the market. 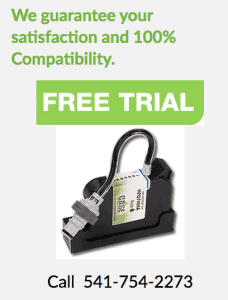 By going bulk, and using 350 ml bulk ink supplies instead of disposable or refilled stand-alone cartridges for your case coding, you reduce the number of change-overs and empty cartridges. This equates to less cost and less waste over the long run. (2) CASE Printing Solutions encourages recycling via an invoice credit on empties. You can recycle your emplty HP 4500 inkjet print heads and HP 350 ml ink containers, and get a credit for each one returned, which results in fewer components sent to land fill. (3) CASE Printing Solutions and HP thermal inkjet have the right formula to GO GREEN. HP’s OEM print cartridges, Ink Supplies and Case Printing Solutions ink have low to no VOC’s so the environment isn’t negatively impacted. (4) CASE Printing solutions ships un boxed 350 ml ink supplies, using less packaging materials when shipping product to clients. Contact CASE to figure out how they can help you GO GREEN today!